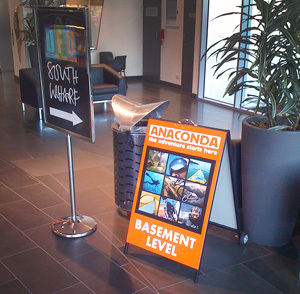 The a-frames or sandwich board is a versatile display board that can be used inside or outside of restaurants, retail shops or cafes. 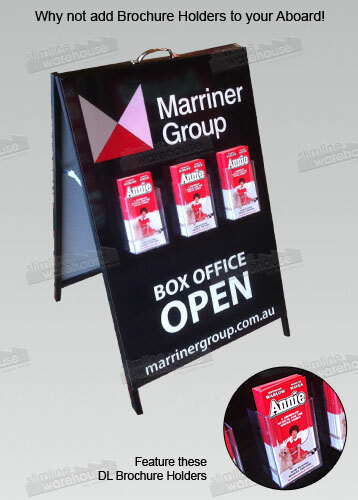 These a-frames are manufactured with black painted steel frames and are fitted with your very own artwork that is printed onto metal boards and fixed to your A Board signs. 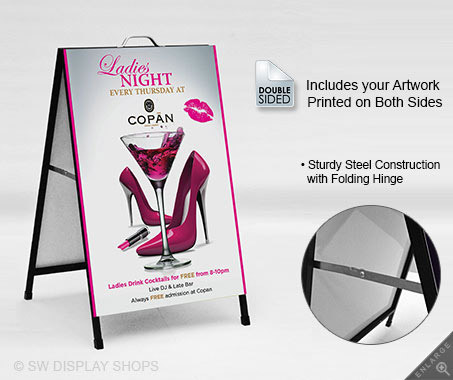 These sandwich signs are a durable unit that have a double sided display allowing you to show your advertisements to a wide audience. 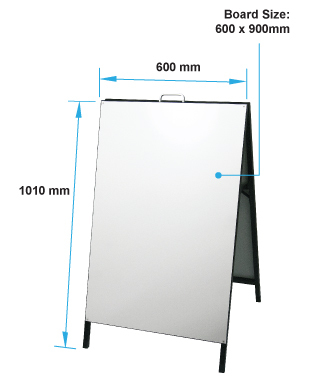 The A Frames are also fitted with a handle at the top of the sandwich board making them easy to move around your premises. The sandwich signs are a flat pack item that can be folded and put away in storage when not in use. 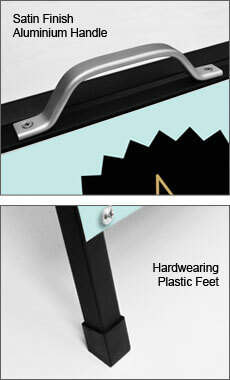 These A-frames can be shipped to anywhere within Australia- Adelaide, Perth, Sydney, Melbourne- Anywhere Australia Wide. And this product is protected during shipment due to careful packaging of the product, meaning your display products arrive in the same condition as when we shipped them. 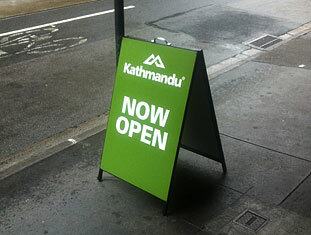 To view our extensive range, visit our A-Board Frames page.